One year ago, in October, 2006, Mitsubishi released the HC5000, which brought full 1080p resolution performance to market at a rock bottom price tag of just $4,495. It seems hard to believe, but at the time it was the lowest priced 1080p projector on the market. Everything else was $4995 and higher. The HC5000 was not only low priced but it was a fully-loaded, high performance 1080p projector that, at the time, set a new price/performance benchmark in the industry. Last week Mitsubishi decided to continue the lead in price/performance by dropping the price of the HC4900 to just $1995 after a $500 rebate. 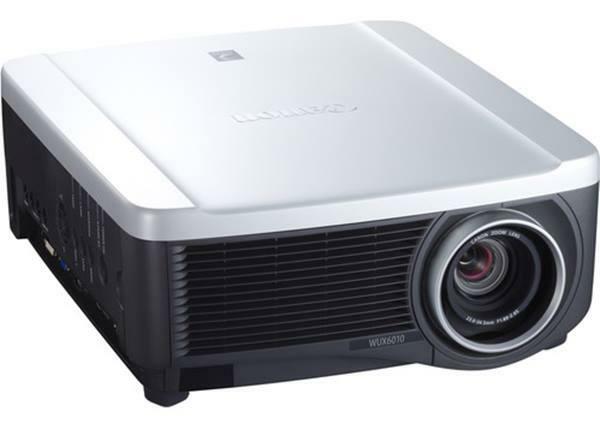 Thus, Mitsubishi is officially the first vendor to break the $2,000 barrier with 1080p resolution projectors. The HC4900 is a slightly downscaled HC5000, but it retains almost all of the performance advantages of the HC5000. And at a mere $1995, it is one of the best values in the home theater projector market at this time. Video Compatibility: 1080p/60/50, 1080i, 720p, 576p, 576i, 480p, 480i. NTSC/PAL/SECAM. Connection Panel: One HDMI v. 1.2, one DVI-D, one 15-pin VGA, one 3-RCA component input, one s-video, one composite, one 12V trigger, one 9-pin DSub serial port.